With the winter’s snow pack in the Capital District of upstate New York now a memory (and any future inches of whiteness sure to melt quickly), the concise summing up by Liz Cardinal (who is a Teaching Garden Coordinator for Sustainable Food Center in Austin, Texas) of the Seven Reasons You Should Be Gardening deserves attention up north in the Hudson Valley of New York State as well as in the more temperate growing zone of central Texas. This urge to garden is well worth encouraging in all humans (if only marketers would promote gardening and not Tony the Tiger). 1. Exercise – Flexibility, weight loss, reduced bone loss, and muscle strength are all benefits of gardening, and because there is always work to be done in a garden, it’s a great way to get in your daily moderate exercise. 2. Community building– School and community gardens help foster a sense of place in a community and bring together people from different backgrounds. 3. Wonder and excitement – Watching a garden grow and evolve creates a sense of wonder in both children and adults. There is something special, if not magical, about planting tiny carrot seeds and then pulling a beautiful, orange carrot out of the soil 75 days later. 4. Life-long learning – All those times your garden failed, you learned something! And when it goes right…. 5. A sense of achievement – When hard work pays off, it results in a sense of satisfaction. Helping a garden flourish boosts your emotional well-being, and you get to enjoy the fruits of your labor. 6. Connection to Earth’s cycles – Tending a garden throughout the seasons is a way to observe and be a part of Earth’s cycles. The process of enabling a seed to sprout, form flowers and fruit, then reproduce unfolds before your eyes in just a few months. 7. Freshness – When food is harvested close to the day it is eaten, it tastes significantly better than when it is harvested weeks prior and ripened en route to the supermarket. A child who has only ever tasted store-bought tomatoes is often surprised when they pick a tomato off the plant and eat it. Cardinal’s second reason for gardening, community building, is a reminder of the wonderful resource provided by the American Community Garden Association. It’s easy-to-search directory of community gardens throughout the U.S. and Canada makes it a cinch to find a place not far from home (especially if backyard gardening is not possible) to green up the world and grow some food for yourself while becoming part of a community of gardeners. 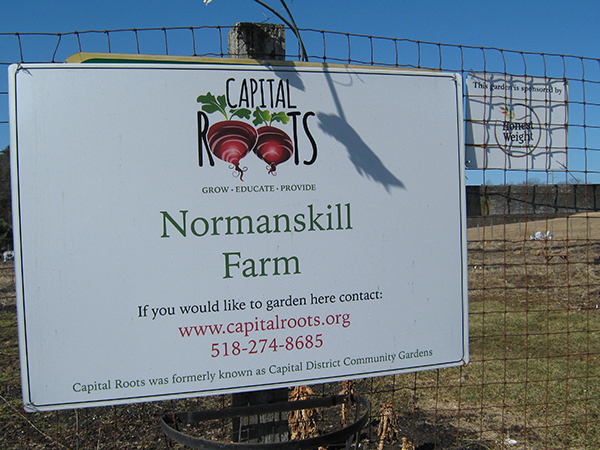 In the Capital Region of upstate New York, the praiseworthy Capital Roots coordinates 900 garden plots available in 52 communities (located throughout Albany, Rensselaer, Schenectady and southern Saratoga counties). 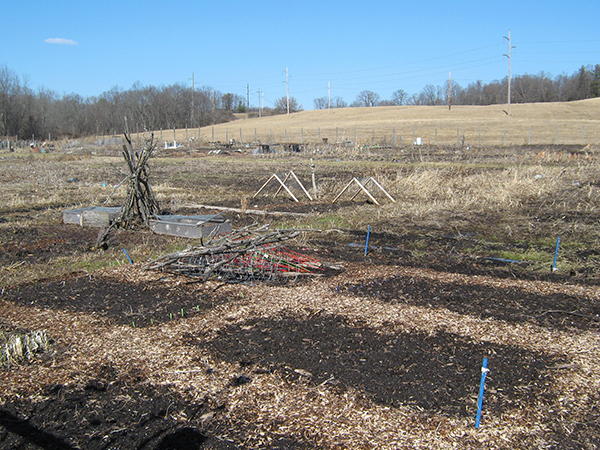 AND all of Capital Roots’ community gardens are managed organically. 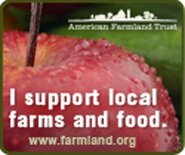 The non-profit organization emphasizes that: You don’t have to spend a lot of money or know how to garden organically – we’ll teach you! In addition, Capital Roots offers dozens of gardening and culinary classes each year, provides seeds free of charge to all Capital Roots gardeners and sells unique seedling varieties at two plant sales per year. Bravo!